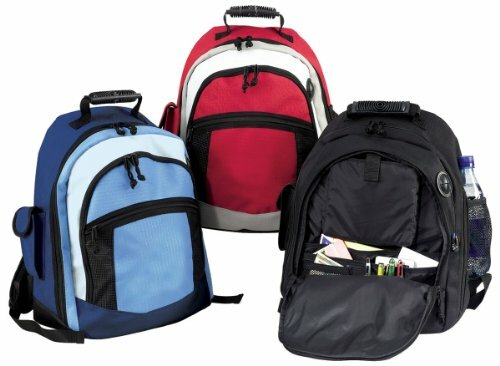 Made of 600D rip-stop polyester, this ultra modern bag wraps functional features in striking color. A large compartment in front has pockets for CD player, palm pilot, cards, pens, money & accessories. Side pockets hold a cell phone and water bottle.Rubber handles at top.